The buy to let market has been going through a period of uncertainty over the last few years. It all started with the 2015 announcement that tax changes to mortgage interest would be introduced from April 2017. This was followed soon after by the hike in stamp duty on second homes to 3% in April 2016, changes to the wear and tear allowance, the Prudential Regulation Authority’s (PRA) recommendations for buy to let underwriting and the repercussions of the referendum and an impending Brexit. This article looks at the effects of these changes and challenges on landlords, lenders and tenants. Lenders have had to employ tougher criteria following the new regulations for mortgage underwriting, and impending revised tax rules. They must now apply a minimum interest rate stress test of at least 5.5% for the first five years of a mortgage. This, combined with the increase in stamp duty, means that investors are having to find more money upfront to secure their loan and property. But in spite of all of this, landlords have remained optimistic. 54% of landlords say they have a positive outlook on their portfolios, and 23% expect to expand them over the next year. They have, however, had to rethink their income from rental properties in the light of the upcoming changes to the tax treatment of mortgage interest. More than a quarter of landlords expect to be pushed into a higher tax bracket following the changes, and those with larger portfolios will be more likely to be affected. Some have planned to simply increase their rental fee to cover costs. However, many have started managing their portfolios through limited companies. 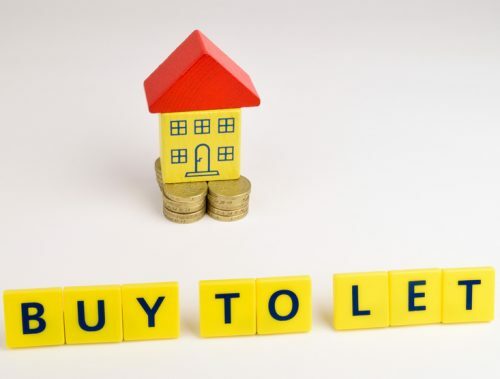 In 2016, six in ten applications for buy to let mortgages were via a limited company and the number of limited company loans issued had more than doubled since the previous year by the end of the third quarter. Another tactic has been to move their holdings to a lower rate tax-paying spouse or partner to limit their tax exposure. In the face of all this change, the private rental sector in Great Britain has continued to expand in 2016. Tenant demand continues to grow, albeit at a slightly slower pace. There are currently 5.3 million households in the sector, compared to 5.0 million a year ago. One in five households are now in the private rental sector as first-time buyers find it ever more difficult to afford to buy a property. House prices are still on the rise and outstripping wage inflation, with the prospect of higher inflation this year and beyond. This means that disposable income could reduce even further, putting housing affordability further out of reach and in turn, strengthening the demand for rental properties in the short term. So there may be an increase in rental property demand at the same time as the buy to let market potentially slows in reaction to the changes it faces. This imbalance in supply and demand, combined with the hike in outlay, could result in landlords increasing their rent. One third of landlords plan to increase rents in the next six months – by an average of 5.4%. This would add £48 a month to the average household’s rent, which is an extra £571 a year. The intention of the government in introducing these new measures was to dampen growth in the buy to let market, thereby encouraging an increase in home ownership. However, changes to the wider economic environment, mainly as a result of the EU referendum and its impact on the inflation, may result in the opposite – even more people looking to rent as they find the cost of housing even further out of reach. Ultimately, this long-term demand and supply imbalance will not ease until housebuilding matches the growing demand, supported by sustainable, sensible lending. However, the cumulative effect of all this change could well mean the government has moved far further down the road of slowing buy to let purchase activity than it originally intended.